Vissla Caps - Vissla Rhyder Cap - Black :: Men > Hats and Caps. 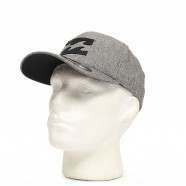 Stripe print to frontLogo badge to frontFlat peak with stitching detailFive panel designMen's capAdjustable snapback fastening to back for custom fitMaterial: 60% Cotton. 40% Polyester Size: one size.